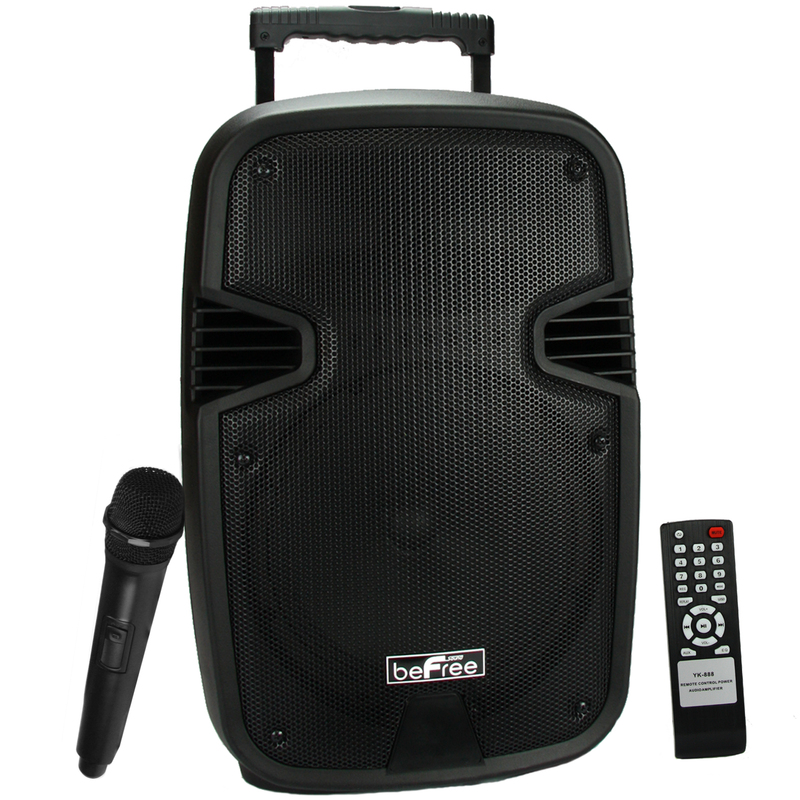 Impress your crowd with the powerful 10" Bluetooth portable speaker! With this impressive wireless speaker you'll have the control in the palm of your hands. Take your party from indoors to out in the open with the built-in handle and wheels which makes transporting your music just that much easier!